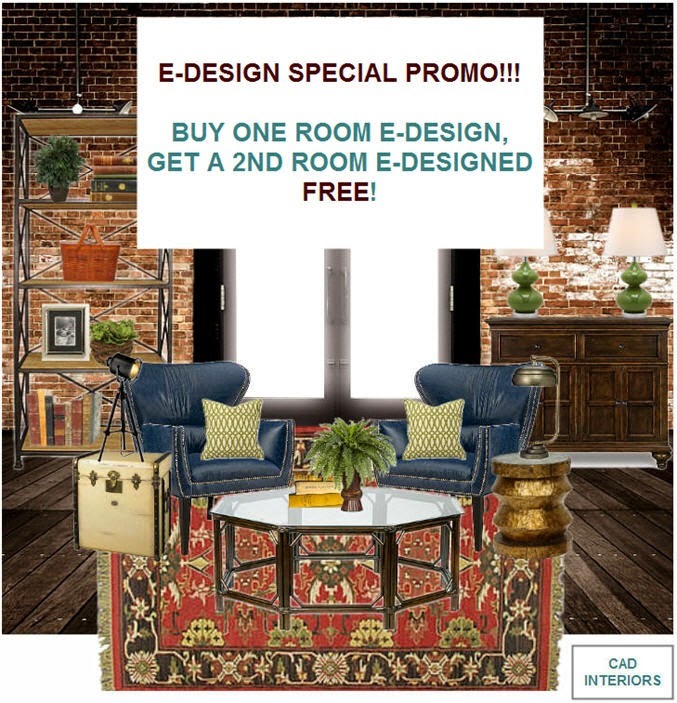 Special promotion on e-design services! Happy Monday! To get your week off to a great start, I am offering my readers and all referrals a "Buy One, Get One Free" e-design special package rate! You would essentially be getting two rooms e-designed for the price of one room. So, contact CAD INTERIORS today if you've been on the fence about obtaining interior design or decorating services! And please, help spread the word about our special promotion!!! Partner with me to create a home custom-tailored to you. Whether you live locally or out-of-area, I would love to work with you on making your home YOURS!